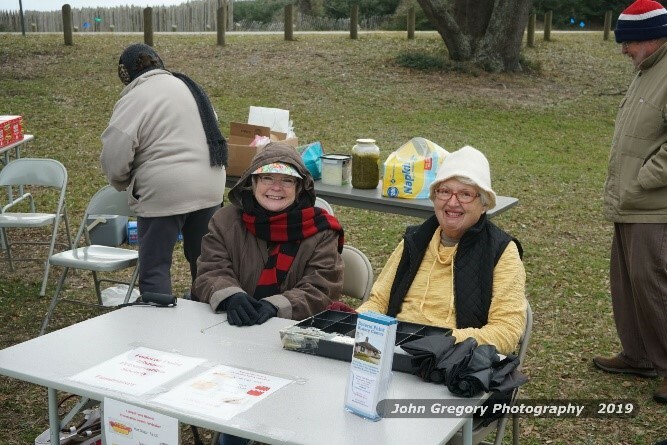 June 16: “The Faces of Fort Fisher” – The stories of Fort Fisher detail the struggle for the Fort. But just as important are the stories of the people who populated the fort and its two battles. Join us as Dr. Chris Fonvielle discusses the people who lived, worked, fought, and died at Fort Fisher. Copies of his books will be on sale and can be signed by the author. June 23 : “The WASP Program and Fort Fisher” – During World War II, the Women’s Airforce Service Pilots, or WASP, were the first women trained to fly our military’s front line arsenal. In July 1943, the first 25 specially selected women arrived at the Camp Davis Army Air Field with orders to provide targets for the Anti-Aircraft training happening in the area. Join us as Assistant Site Manager, John Moseley, presents this unique story and its connection to Fort Fisher’s Antiaircraft Firing Point. June 30: “The Roots of Colonial Resistance to Stamp Act and the Road to Revolution” – Parliament’s Stamp Act of 1765 focused colonial resistance to Great Britain’s attempts to impose new taxes on the colonies without the consent of colonial legislatures. The rise of colonial resistance was also based on fiscal policy leading to an attempt to arrest British officials in Brunswick Town and placed Governor Tryon under a short house arrest. 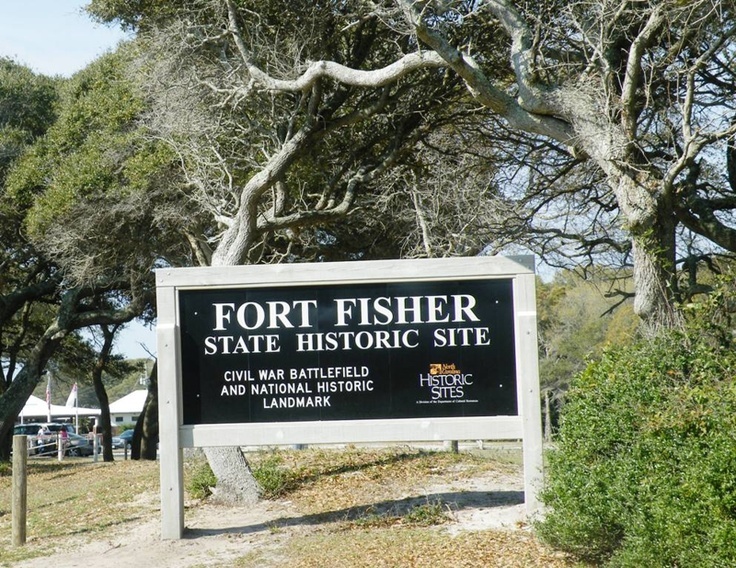 Join us as Fort Fisher Interpreter, Rick Morrison, a retired US Navy Captain, discusses this unique facet in our local history. July 7: “The Silent Sentinels” – We pass them all the time. They dot our State’s roads, parks and cemeteries. 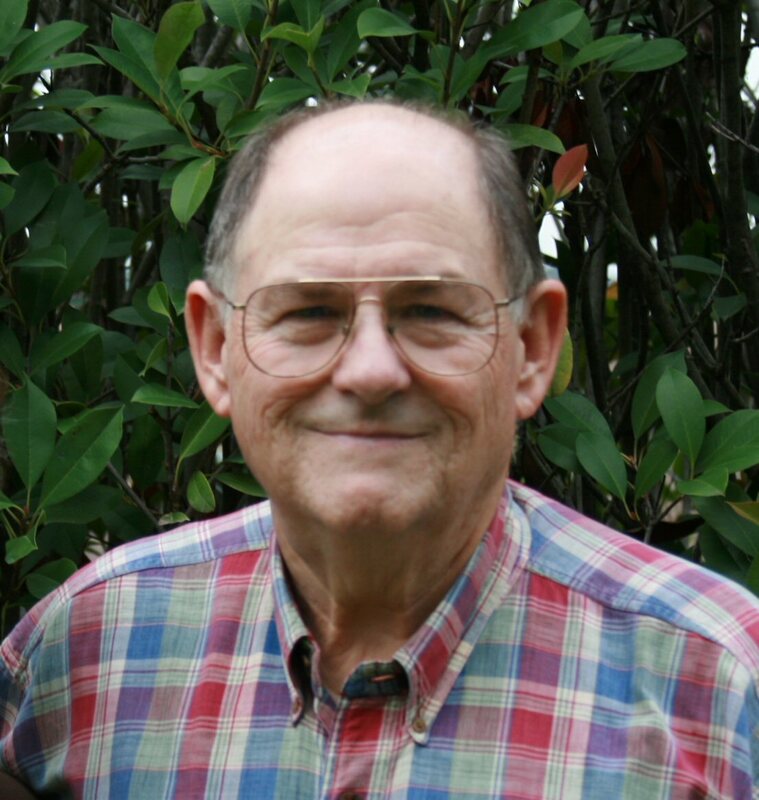 John Winecoff, of the North Carolina Military History Society, has spent years documenting all the military memorials in North Carolina’s 100 counties. They are the silent witnesses to the sacrifices of our men and women in over 243 years of our country’s history. July 14: “At the Mercy of the Angel of Death: The 1862 Wilmington Yellow Fever Epidemic” – During the Civil War, the mosquito carried a dark and deadly secret. Learn how this little bug and its pathological comrades waged their own biological warfare upon unsuspecting soldiers and citizens. Shannon Walker, Interpreter at Brunswick Town Fort Anderson State Historic Site, will be here to discuss this insect and the deadly Civil War medical issues it brought. When Chris Fonvielle was 8 years old, the Civil War centennial broke out, and he received a young readers’ edition of the American Heritage “Golden Book of the Civil War.” From thereon, he was hooked. “I can’t remember a time when I wasn’t interested in history,” said Fonvielle, an associate professor of history at the University of North Carolina Wilmington. In fact, Fonvielle, a Port City native, almost literally wrote the book — or books — on the Civil War in the Lower Cape Fear. His master’s thesis became “The Wilmington Campaign: Last Rays of Departing Hope,” a scholarly account of the battles that led to the fall of Wilmington. His “To Forge a Thunderbolt” chronicled the rise and fall of Confederate Fort Anderson near Colonial Brunswick Town. “Fort Fisher 1865″ studied the prints of Civil War photographer Timothy H. O’Sullivan, whose images in 1865 provide the only known visible record of the Civil War fortress guarding the entrance to the Cape Fear River. “His dedication to the Wilmington area and its history is extraordinary,” said Lynn Mollenauer, chairman of the UNCW history department. 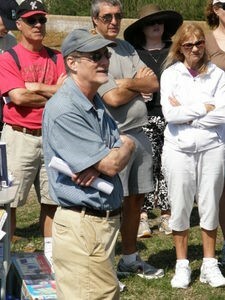 For years, Mollenauer said, Fonvielle has been “the public face of the history department,” speaking to local civic groups and giving tours of Civil War sites for the Federal Point Historic Preservation Society and others. This spring, the 65-year-old Fonvielle is retiring after more than 20 years at UNCW. He and his wife, Nancy, are planning a series of trips, including a long-anticipated tour of Scotland. Fonvielle will not be giving up on history. He’s completing a different project: a history of the Battle of Moore’s Creek Bridge, the 1776 conflict in which area Patriot militias scattered Loyalist Highlanders marching from what is now Fayetteville toward Wilmington. Mastering the Revolutionary War era has been “a steep learning curve,” Fonvielle said, but he’s had fun. It gave him a chance to learn new history — for instance, that the prefix “Mac-” means “son of” in Scottish names. Fonvielle said he also wants to finish a biography of William B. Cushing, “Lincoln’s Commando,” a dashing U.S. Navy officer who, among other exploits, floated a fake gunboat, or monitor, past Fort Anderson to trick the defenders and draw their fire. Growing up in Wilmington, Fonvielle remembered traveling out with his mother — WWAY-TV news personality Jane Fonvielle — to see the excavations of Brunswick Town and Fort Anderson by the famed archaeologist Stanley South. “He gave me a trowel and put me in the basement of one of the colonial houses and told me, ‘See what you can find,’” Fonvielle recalled. After graduating from New Hanover High School (where, he proudly notes, he was the first soccer-style place kicker in North Carolina football history), Fonvielle moved on to UNCW, where he earned an anthropology degree. 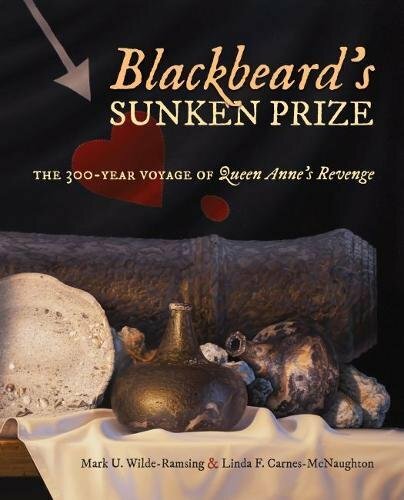 He headed the Blockade Runner Museum at Carolina Beach from 1979 until its closure in 1983, then worked briefly at Cape Fear Museum, which had acquired the artifacts. After earning his master’s degree and Ph.D. and briefly teaching at ECU, he returned to UNCW in 1997. He’s been there ever since. 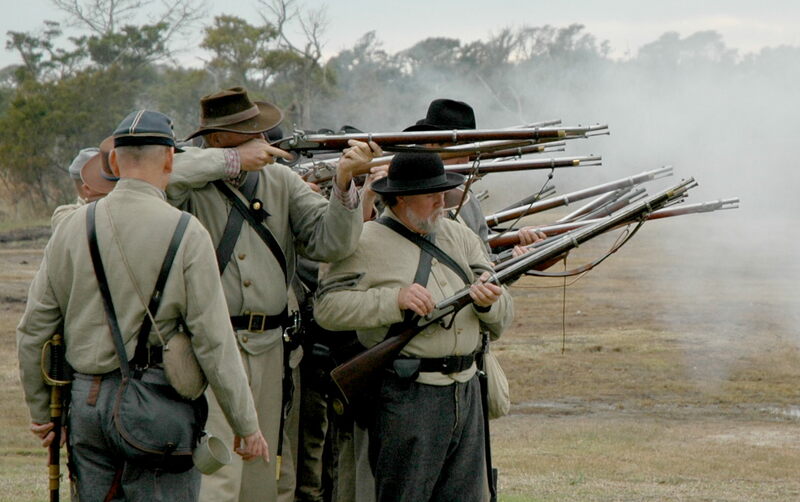 On Saturday, January 13, 2018, Fort Fisher State Historic Site will host the program ‘Exploding shells and a blaze of musketry’: The 153rd Second Battle of Fort Fisher Commemoration. 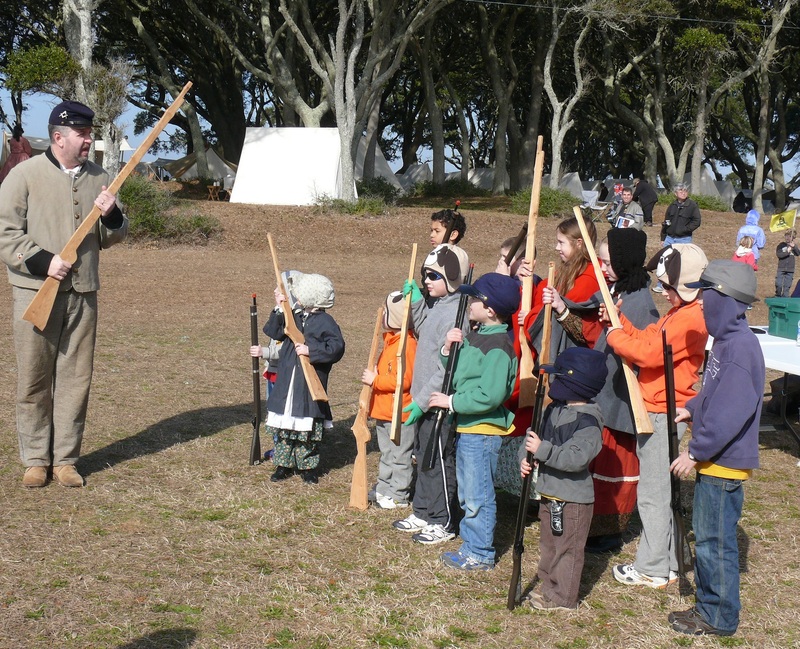 Outside the museum, reenactors dressed in period garb will bring history to life as they discuss camp life, garrison duty, and conduct the manual of arms. 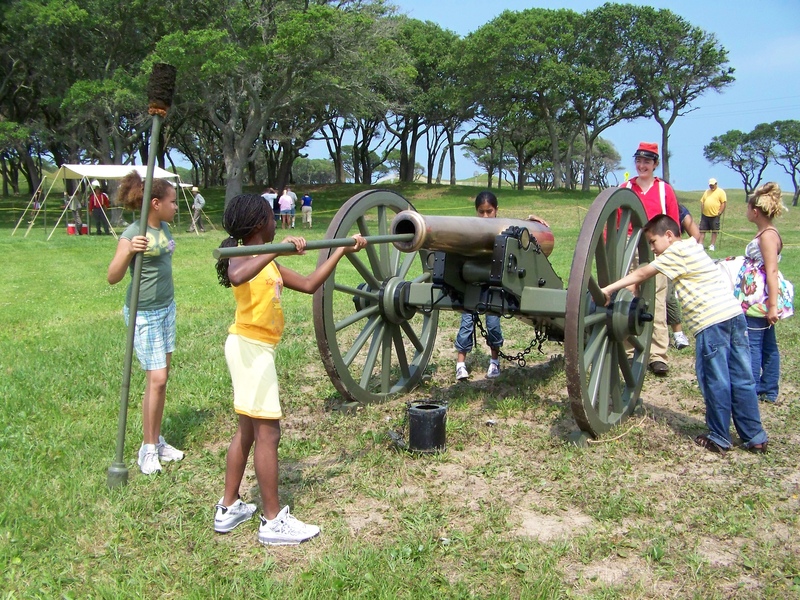 The program will also feature large and small artillery firings throughout the day, including the site’s 32-pounder rifled and banded cannon. Live 19th century music will be provided by Masonboro Parlor and local photographer Harry Taylor will demonstrate 1860s wet-plate photography. In the afternoon, two special programs will be held in the site’s auditorium. At 12:30 pm, Dr. Keith Holland will introduce visitors to the fascinating story behind the Maple Leaf, a Union troop transport ship that sank April 1, 1864 and later bore countless historically and cultural significant artifacts. 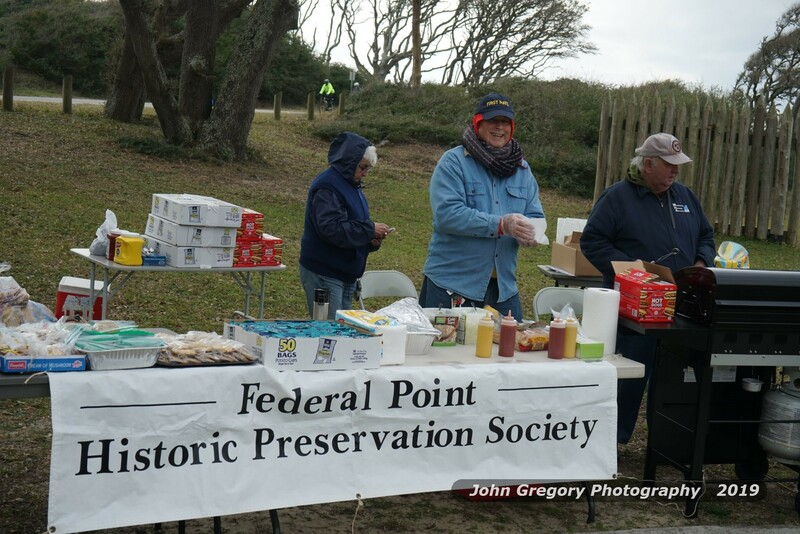 FPHPS will be selling hot dogs, drinks and snacks at the Reenactment again this year. 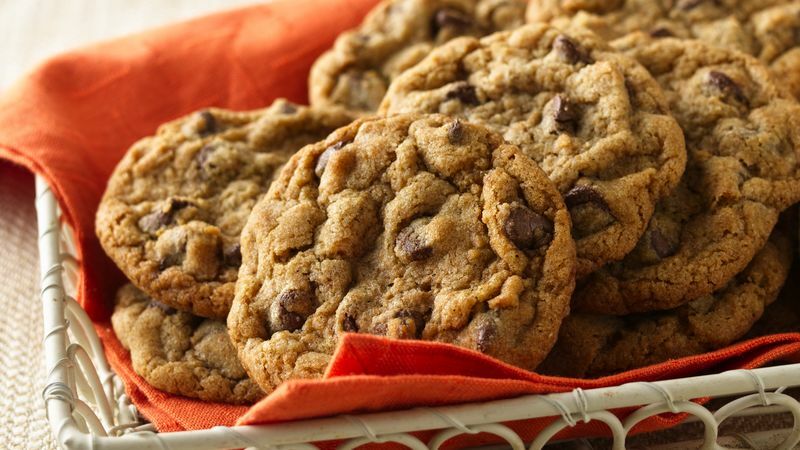 We need people to bake cookies as well as people to work our booth on Saturday January 13. Please call Rebecca or Cheri at 458-0502 to let us know you can help.